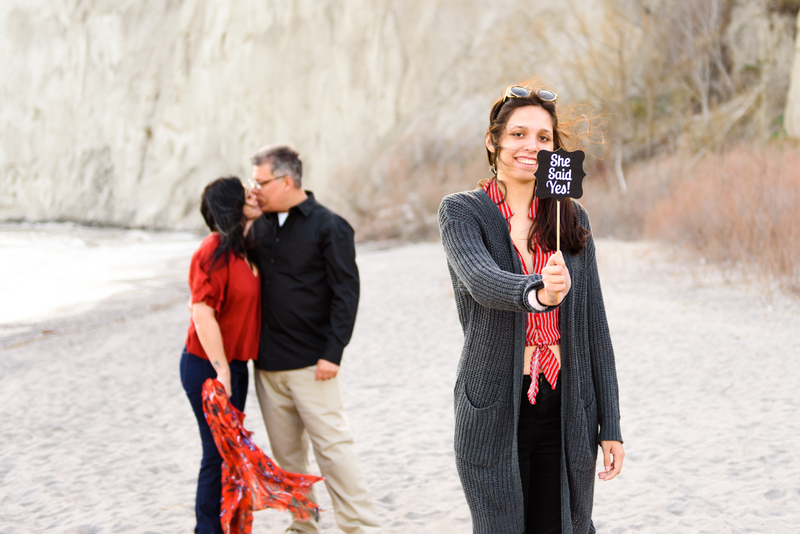 Scarborough Bluffs is one of the most popular engagement photo shoot spot in Toronto. It’s obvious why – this place is just stunning! 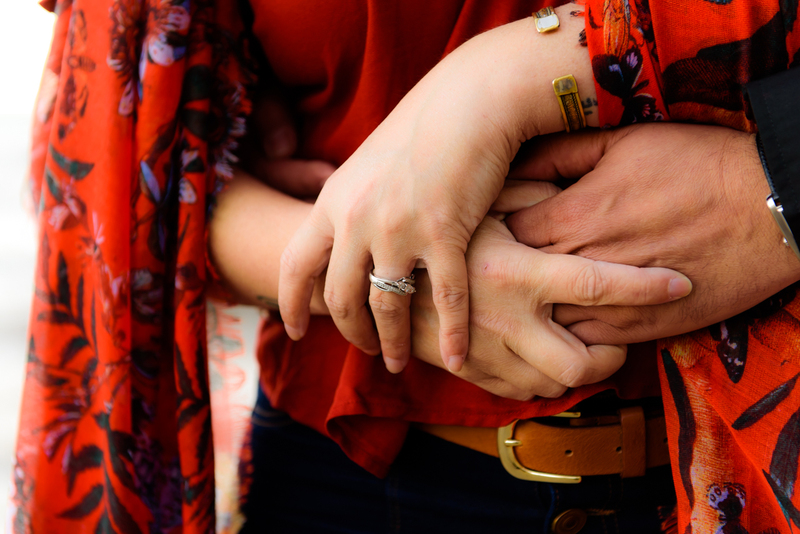 I was very excited when Julio and Luciana decided to take engagement pictures there and I am even more excited now, sharing this beautiful photo session with you. What I really like about engagement photo shoots is that couples can just relax and spend some time together, without any stress and pressure they often feel on a wedding day. That’s a good time to chat more with your photographer and get comfortable in front of the camera. There is no rush on that day, so we all can just have a lot of pure fun! The second thing I really like about engagement photos is that you can show who you are as a couple and capture a piece of the story of your relationship. Luciana and Julio are very creative people and they came prepared with items and funny photo shoot poses they had in their heads. 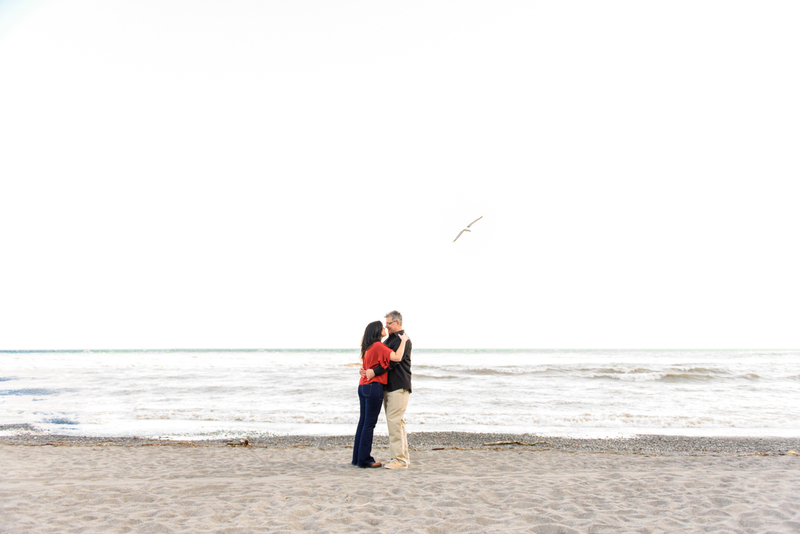 Luciana picked a red outfit which complements just perfect with a cool color of the Scarborough Bluffs scenery.